The hour of the Lord Jesus’ death, 3pm, is a privileged time as regards the devotion to the Divine Mercy. 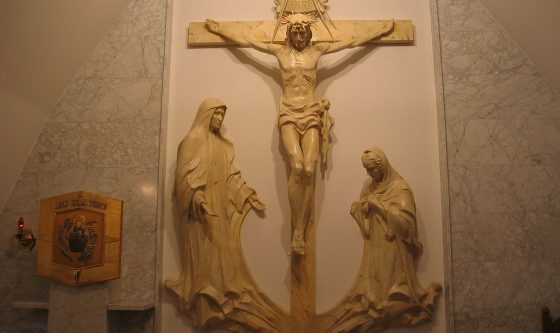 At that hour, in spirit we stand beneath Christ’s cross in order to entreat for mercy for us and the whole world for the sake of the merits of His passion. The Lord Jesus said to Sister Faustina: “At three o’clock implore My mercy, especially for sinners; and, if only for a brief moment, immerse yourself in My Passion, particularly in My abandonment at the moment of agony. This is the hour of great mercy for the whole world” (Diary 1320). Immediately, it needs to be explained that what is meant here is not sixty minutes but the moment of Jesus’ agony on the cross, therefore – the prayer at 3pm.